Camp Kumalya provides a week packed full of exciting and structured activities for the new and returning camper. 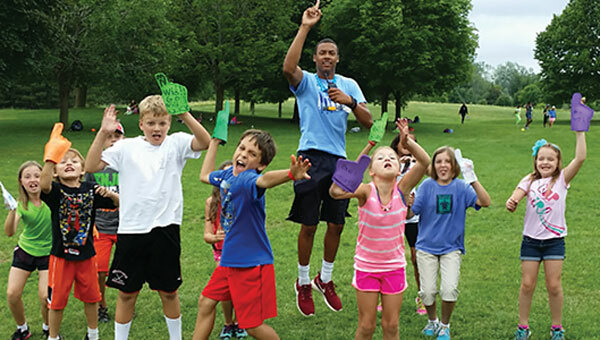 Located at beautiful Lake Elmo Park Reserve in Lake Elmo, Minnesota, campers age 4 through 14 participate in small, age-appropriate groups under the guidance and responsible supervision of our trained Y staff members. Nothing says summertime adventure like the shouting of excited campers hiking on a path or the splashing of paddles on the lake! YMCA Camp Kumalya is a wonderful place for your child to experience fun, outdoor adventures this summer. Activities help to build self-esteem, learn new skills, and practice the YMCA’s core values of caring, honesty, respect and responsibility. And each year, every child leaves with special beads to mark their accomplishments and treasured experiences. Come explore what Camp Kumalya is all about – great fun, great people, great experiences, and great memories! See you this summer! Day Camp Hours: 9 a.m. – 3:30 p.m.